The absentees include Landrieu, Manchin Nelson and Pryor. Democrats in the Senate have rounded up 40 sponsors and cosponsors for a bill that would counter the U.S. Supreme Court’s recent Hobby Lobby decision. Fifteen of the Democrats and independents who could be cosponsored the “Protect Women’s Health from Corporate Interference Act” bill stayed off the initial cosponsor list provided by the lead sponsors, Sen. Patty Murray, D-Wash., and Sen. Mark Udall, D-Colo. The U.S. Supreme Court last week ruled that, under the federal Religious Freedom Restoration Act of 1993 (RFRA), the U.S. Department of Health and Human Services (HHS) has to show that it has used the “least restrictive means” of furthering a “compelling government interest” before taking actions involving owners of closely held for-profit companies that might substantially interfere with the owners’ exercise of religion. In that case, Hobby Lobby and other employers were objecting to an HHS decision to put birth control benefits in the basic package of preventive health services. The Patient Protection and Affordable Care Act (PPACA) now requires new major medical plans to cover the preventive services package without imposing deductibles, co-payments or coinsurance requirements on the patients. The Murray-Udall bill, and a companion bill introduced in the House, would prohibit an employer from refusing to cover any health benefits required under federal law. The bill also would forbid employers from using RFRA or other federal laws as a justification for refusing to comply with PPACA requirements. 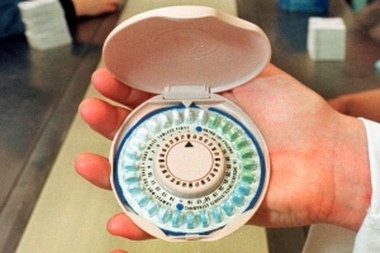 The bill would exempt houses of worship from the PPACA contraceptive coverage requirement, and it would keep an existing Obama administration compromise that has the insurers pick up the cost of providing birth control benefits for nonprofit religious employers. In a statement, Murray called the Supreme Court decision a “court-issued license to discriminate.” Udall also blasted the ruling. Most of the initial bill sponsors and cosponsors are Democrats. The only exception is Bernie Sanders, a Vermont independent who typically works with the Democrats. Lisa Murkowski, an independent from Alaska who often votes with the Democrats, was missing from the initial cosponsor list. Some of the other senators missing from the list are Democrats who represent swing states. They include Sens. Mary Landrieu, D-La. ; Joe Manchin, D-W.Va.; Bill Nelson, D-Fla.; and Mark Pryor, D-Ark.